Crow's Nest01263 715779work01603 870304fax Self-cateringLocated in an Area of Outstanding Natural Beauty on the Royal Norfolk west coast, this lovely bungalow has easy access to local walks, sandy beaches and some delightful pubs and restaurants that are dotted along this coastline. There is a small local shopping hub, Dalegate Market, round the corner from the Crow's Nest for everyday supplies and the Coasthopper bus can take you to numerous villages such as Burnham Market, Brancaster Staithe, Wells-next-the-Sea and more. It is a great area for a holiday and this bright, spacious property with open plan living and lovely farmland views to the rear is a super spot for a family or friends to enjoy. Crow's Nest offers weekly bookings starting on Friday. 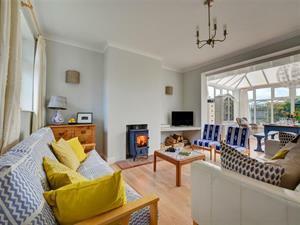 Located in an Area of Outstanding Natural Beauty on the Royal Norfolk west coast, this lovely bungalow has easy access to local walks, sandy beaches and some delightful pubs and restaurants that are dotted along this coastline. There is a small local shopping hub, Dalegate Market, round the corner from the Crow's Nest for everyday supplies and the Coasthopper bus can take you to numerous villages such as Burnham Market, Brancaster Staithe, Wells-next-the-Sea and more. It is a great area for a holiday and this bright, spacious property with open plan living and lovely farmland views to the rear is a super spot for a family or friends to enjoy.